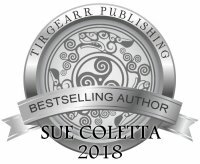 Member of Mystery Writers of America, Sisters in Crime, and International Thriller Writers, Sue Coletta is a multi-published, award-winning author. Her work has appeared in numerous anthologies and collections, including a forensic article in InSinC Quarterly. 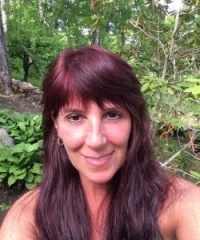 In addition to her popular crime resource blog, Sue’s a radio host—check out "Partners In Crime" on Blog Talk Radio—and the communications manager for the Serial Killer Project and Forensic Science. Also, Sue founded #ACrimeChat on Twitter to help other crime writers' stories ring true. She lives with her husband in a quaint country town in rural New Hampshire where she's surrounded by moose, deer, black bears, and the sultry songs of nature. When Sage Quintano barely escapes from a brutal serial killer, husband Niko, a homicide detective, insists they move to rural New Hampshire, where he accepts a position as sheriff. Sage buries secrets from that night—secrets she swears to take to her deathbed. Three years pass and Sage’s twin sister goes missing. Is the killer trying to lure Sage into a deadly trap to end his reign of terror? Sage Quintano writes about crime. Her husband Niko investigates it. Together they make an unstoppable team. But no one counted on a twisted serial killer, who stalks their sleepy community. Women impaled by deer antlers, bodies encased in oil drums, nursery rhymes, and the Suicide King. What connects these cryptic clues? For Sage and Niko, the truth may be more terrifying than they imagined. When a brutal murder rocks Alexandria, Sheriff Niko Quintano receives a letter: Paradox vows to kill again if his riddle isn’t solved within 24 hours. Niko turns to his crime writer wife, Sage, for help. But she’s dealing with her own private nightmare. A phone call from the past threatens her future. Can Niko and Sage solve the riddle in time, or will the killer win this deadly game of survival? Shawnee Daniels breaks into the home of Jack Delsin who's accused of embezzling money from his employees’ retirement fund. Intent on returning their hard-earned cash, she discovers Jack has secrets worth killing over. A deadly game of cat-and-mouse ensues. Can she outrun the killer, prove she’s innocent of murder after Jack sets her up, and protect those she loves before he strikes again? Accompanied by his loyal crow companions, Poe, Allan, and Edgar, Mr. Mayhem's crimes strike fear in the hearts and minds of folks across Massachusetts’ North Shore. When Shawnee Daniels–cat burglar extraordinaire and forensic hacker for the police–meets Mayhem in the dark, she piques his curiosity. Sadly for her, she leaves behind an item best left undiscovered. Or is it serendipity by design? A madman is decapitating men and women and dumping their headless corpses on two area beaches. Mr. Mayhem—the most prolific serial killer the North Shore has ever known—claims Shawnee Daniels’ life is in danger. He “claims” he wants to help her, but just last year he threatened to murder everyone she loves. Can she find the strength to move forward, or will the truth destroy her?